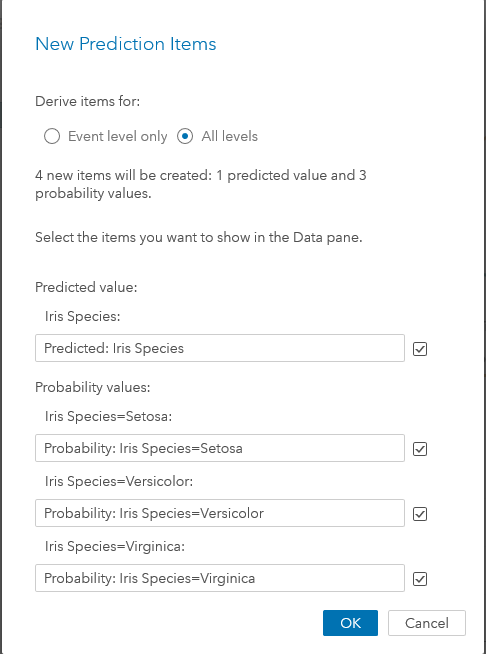 We can easily load Fisher’s Iris dataset from SASHelp.Iris into SAS Viya. 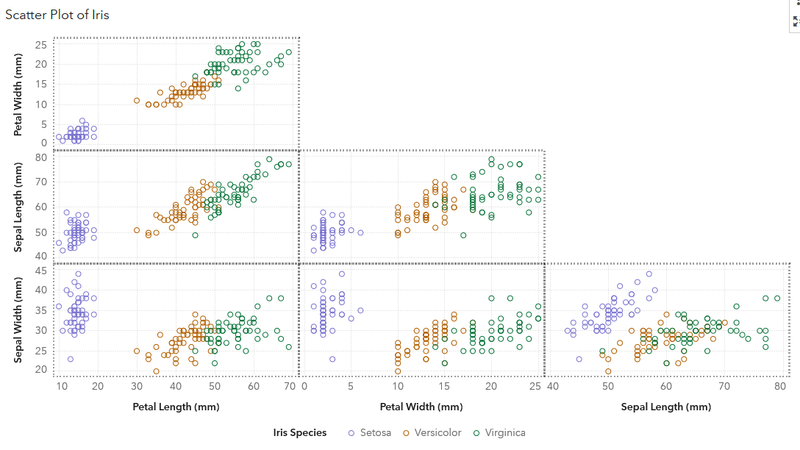 The dataset consists of 50 samples each species of Iris Setosa, Virginica and Versicolor, totally 150 records with five attributes: Petal Length, Petal Width, Sepal Length, Sepal width and Iris Species. 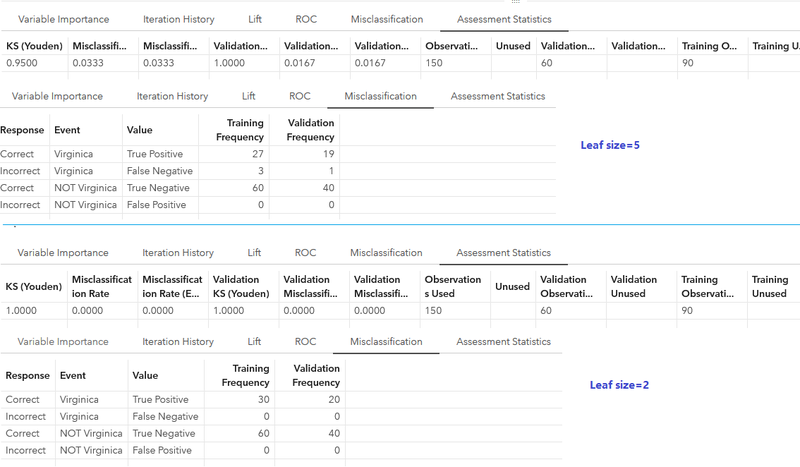 The dataset itself is already well-formed, with neither missing values, nor outliers. 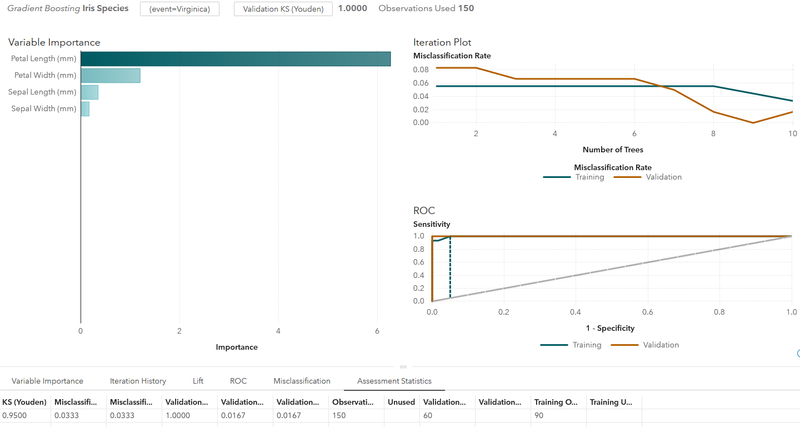 Take a quick look of the dataset in SAS Visual Analytics as below.